Looking "where to sell my Chevrolet Camaro?" Ask the Chicago Car Club! Are you wondering "where to sell my Chevrolet Camaro ?" 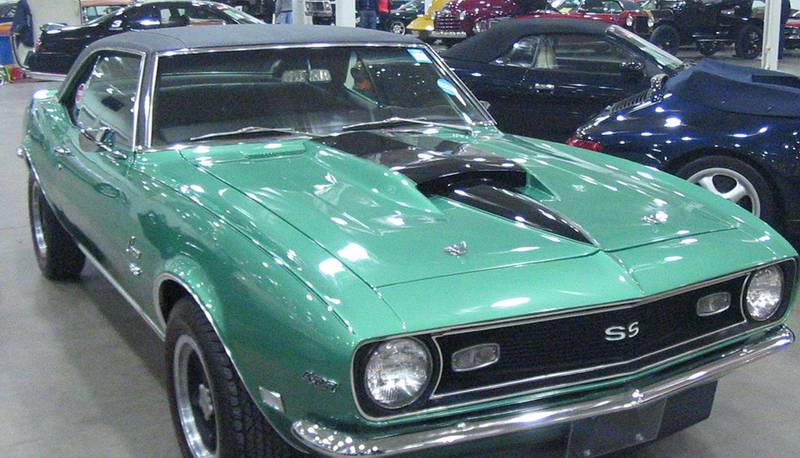 The Chicago Car Club is interested in classic cars of all makes and models, especially a Chevrolet Camaro. We make the process of selling your Chevrolet Camaro quick and painless. In just a matter of hours we will have your classic valued and, if you do so choose, turned into money in your pocket. All it takes is a phone call or electronic inquiry to get the ball rolling. The Camaro was first delivered to Chevrolet dealerships in late 1966 and was sold as a direct competitor to the Ford Mustang. The car shared its platform and many mechanical components with the Pontiac Firebird of the era, also unveiled for the 1967 model year. The first generation Camaro was a rear wheel drive F-body car, available as a two door coupe or convertible. There were a number of engine options, ranging all the way from a 3.8L inline-6 to a 7.0L V8. Prior to the Camaro, the Corvair was Chevrolet’s compact sporty car. However, with sales declining as a result of negative publicity surrounding the safety of the Corvair and the runaway success of the Ford Mustang, Chevrolet needed a change. The Camaro was their answer. The first generation Camaro is widely regarded as the best Camaro, and eventually inspired the design of the modern, fifth generation Camaro.